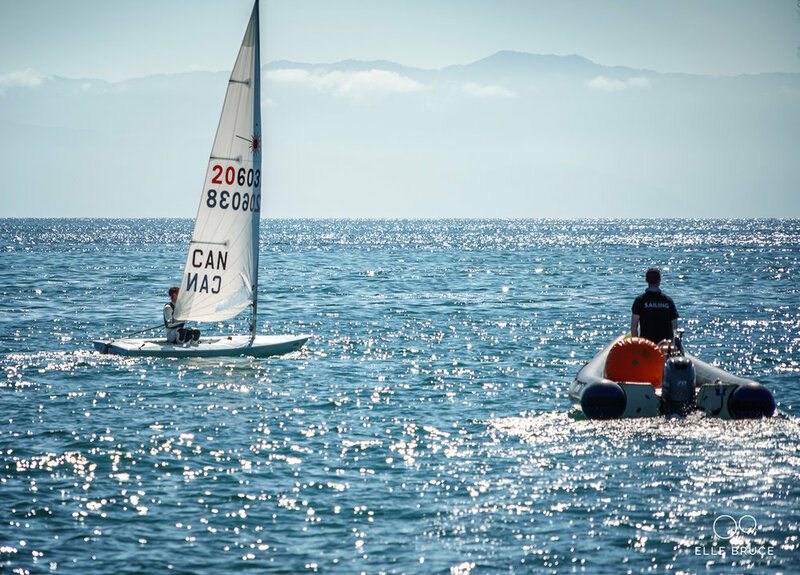 I spent the final week of my school holiday break at the International Sailing Academy in La Cruz, Mexico. I learned a lot from this opportunity to sail with a great group of international sailors while getting Olympic level coaching. We spent six days of intense sailing in pristine conditions. The day would typically start with warm-up rabbit-start races followed by long upwinds consisting of lineups. On the upwinds, we focused on setting up the boat to add weight. This helped me to improve my steering through waves and timing of hiking significantly. We would then sail downwind back to the marina. On the downwinds, we focused on separating our upturns and downturns with a setup turn. This was a repeat of what I worked on the last time I was there last April but I was happy to revisit this crucial skill. I would like to thank Vaughn Harrison for his excellent coaching and all those who joined me for a productive week.